On the edge of a sagebrush meadow, a grizzly bear pauses while turning over rocks to feed on invertebrates in late May. 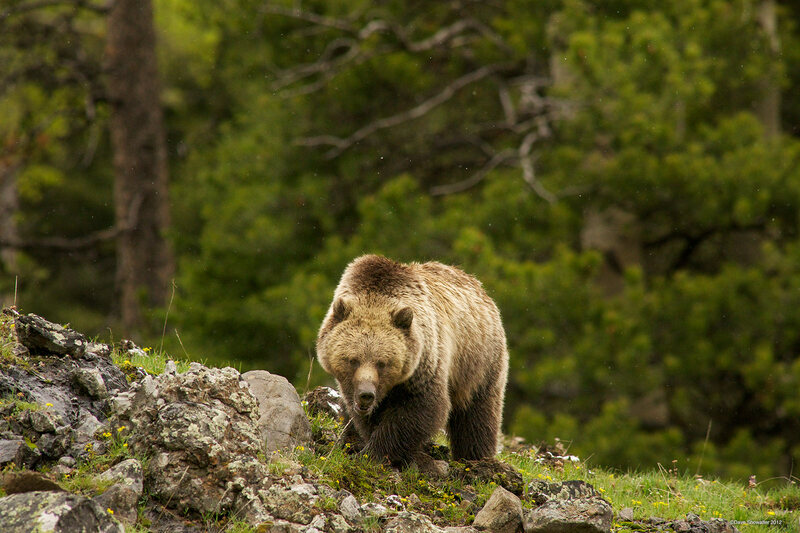 An apex predator, grizzly bears are omnivorous and insects provide an important protein source. Photo © copyright by Dave Showalter.